My day job is as a special education paraprofessional (helper) at an elementary school in our small-ish town. 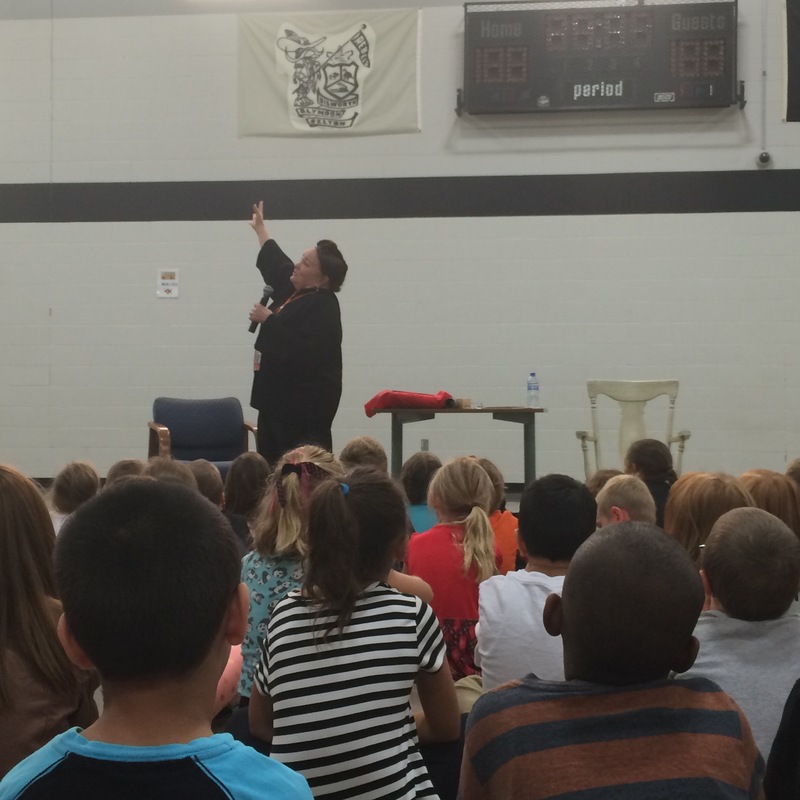 Today at work, our PTA sponsored a visit from children’s book author-illustrator Patricia Polacco. I’d read one of her books before, Thank you, Mr. Falker, and really liked it. I knew that her books were written about her own life experiences, but honestly I didn’t know much else about her, unlike many of the teachers. Still, I was excited to listen to her speak. “Speak” is an understatement. Patricia Polacco is a phenomenal story teller! I was lucky enough to sit through two of her hour-long story telling sessions today at our school and found myself laughing and holding back tears in both. I learned that Patricia didn’t start writing books until she was 41. She now has 115 books published and 7 more in the works. This would be a feat in and of itself. But what makes her story even more inspiring is that Patricia had a learning disability and didn’t learn to read until she was in the fifth grade. Ah-mazing! She is the descendant of Russian and Irish immigrants. She jokes about story-telling being in her genes. Family is a running theme in her stories and when she talks about her Babouska (grandmother) she uses a Russian accent that transports you to a different place and time. Just listening to her stories, which she told today mostly without the actual books/illustrations, ignites the imagination and there’s just a spark of fantasy that leads one to wonder. 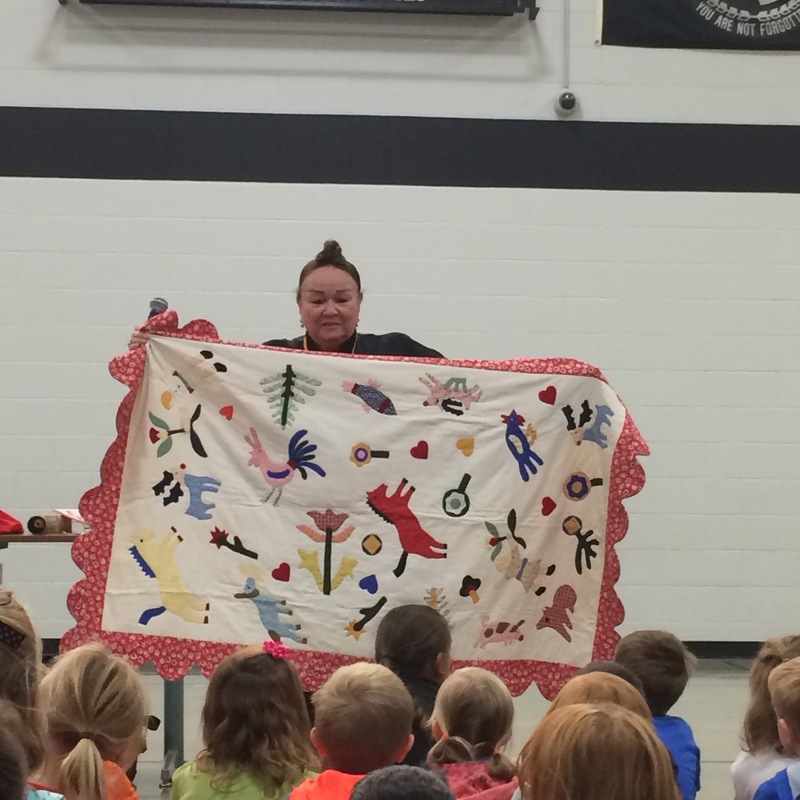 She shared three of her stories with us today: Babouska’s Doll, The Keeping Quilt, and Meteor!. Each held a powerful message. Babouska’s Doll is about an impatient young girl that wants her grandmothers attention and she wants it now. She doesn’t like hearing “No” for an answer. Soon her grandmother lets her play with a doll that comes to life and makes similar demands of the little girl. In the end she learns to be grateful and patient and just a bit less selfish and rude. The Keeping Quilt was my favorite. It is about the quilt Patricia’s grandmother made out of scrap clothes from many family members. As a child her grandmother would ask her which fabrics belonged to which family member when she tucked her in at night. It was a way to remind Patricia of her loved ones and keep them connected. Traditions were built around this quilt and it was used at many events in her family’s life; a tablecloth at birthday parties, at weddings as a canopy over the bride and groom, and to “catch” every baby born in her family. The quilt began to deteriorate from use so 20 years ago her children with help from her sister-in-law and her quilting guild worked to create an exact replica using vintage fabric and digital photos. The original is in a museum but she uses the “new generation” quilt in all the same rituals today. And she brought it to share with us. I was struck by how she didn’t get hung up on the object itself. When it’s time came, she let it rest. Rather, she focused on the opportunity it provided to more tightly knit her family via the traditions around it. She is soon expecting a new granddaughter which she plans to hold in that quilt and bless, in a way, with the same rituals she was blessed. Finally, she shared the story of the Meteor!. A meteorite landed in the yard of her great grandparents farm. It happened in the middle of the night, but it lit up the sky as if it were day. When the towns people heard about it, many came to see, but no one touched it with their bare hands. Until one man did. He made a wish and came back three days later claiming it had came true. As news spread of the meteor’s magical powers everyone came to see it. It became a legend. Today the meteor has been moved and serves as a headstone for Patricia’s grandmother’s grave. But she brought a piece of it with her and let everyone there touch it and make a wish on their way back to class. BUT, there were rules for wishing. You couldn’t wish for money. You couldn’t wish for anything money can buy. And your wish mustn’t be for selfish reasons. It must be for the good of others. And then she made sure to say, the power to change the things we wish to change, doesn’t lie in some magical rock that fell from the sky, but it lies within us. We each are geniuses, gifted, and brilliant. And with kindness and compassion and hard work, we have the ability to make our wishes come true. As a lover of stories and story telling, I was so incredibly inspired today by this author I knew little about yesterday. Patricia Polacco’s way of sharing her truth through her own life stories and encouraging others on their journey is an example to live by. I did make a wish as I touched that piece of rock today. Patricia, I wish you and your family health and happiness. May your spirit of story telling be passed down to those behind you. Thank you for sharing your stories with the us.